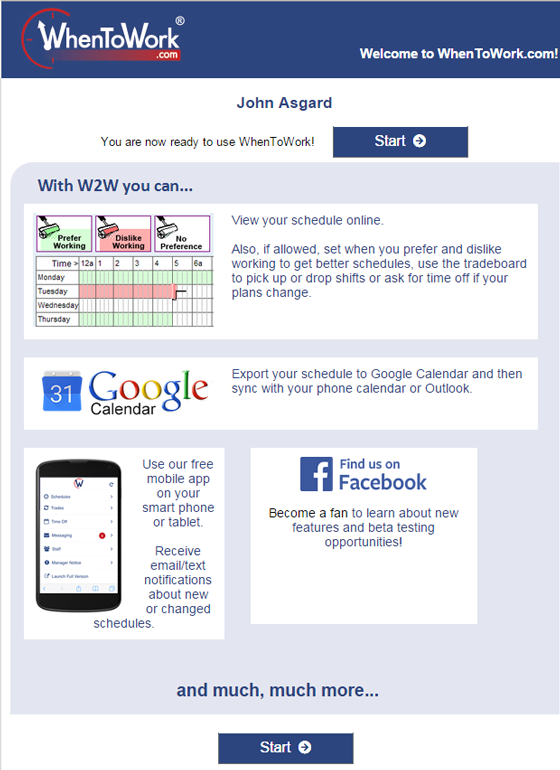 When you sign in using your temporary username and password (which will start with W2W), you will be brought to the first page of the Setup Wizard where you can choose your username and password. 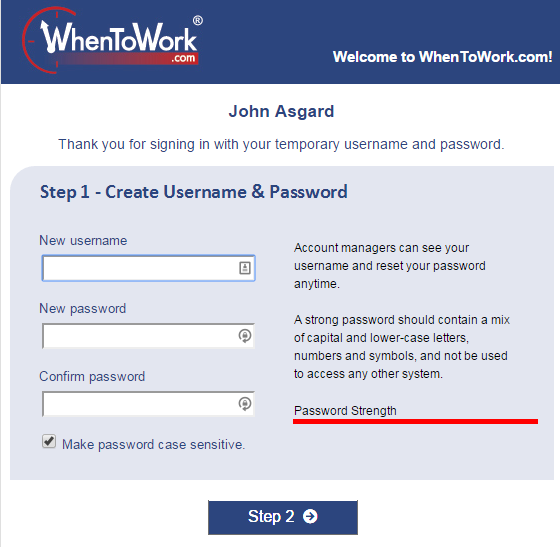 Type in your desired username and password and click Go to Step 2. (If the username you enter is not available you will be prompted to try entering a different one). Then click Step 2. Enter any information and settings you want added or changed. 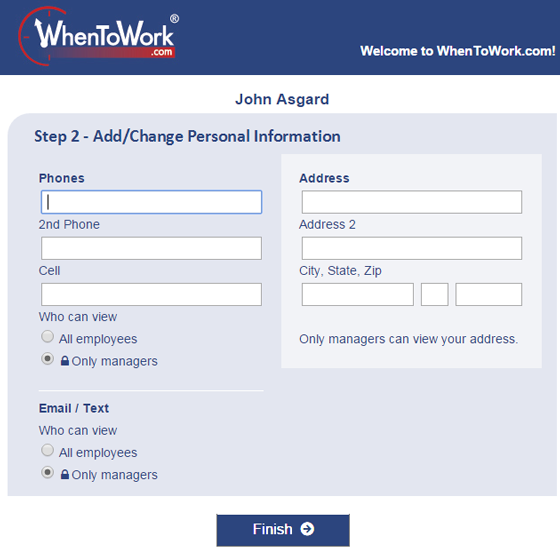 Your manager may have already entered some information for you. When done click the Finish button. Note if your name is not spelled correctly, please contact your manager directly to update it. You will then be taken to your personal home page.